Teak is an incredible timber and is one of the most sought after because of its immense durability. The lifespan of teak wood is unrivalled and long enough to mean that treatment has no effect. The timber is suitable for outdoor use as well indoor environments with high moisture content like kitchens and bathrooms. There are many things Teak wood can be used for and most of them are outdoors where the timber will have to stand up to wear. 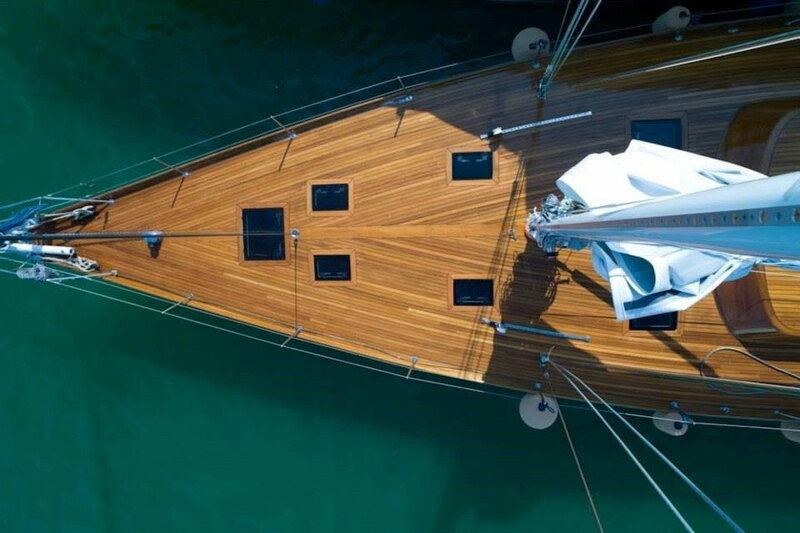 The main use is usually for decking on boats because it is very resilient to water damage and can withstand huge amounts of stress without warping or splitting. However, where necessary, Teak should be pre-drilled to stop it from splitting. The decking will also be light maintenance because even sunlight and heat has little effect on the wood, the only effect sunlight has is turning the colour of the timber silvery grey (like all timbers), however you can treat teak if you would like to keep the colour. Teak’s ability to hold its shape make it brilliant for furniture (outdoor and indoor) and its durability means that you can almost forget about it through the winter and enjoy it in the summer. Similar to the decking, your furniture won’t warp and will last for a very long time giving you the satisfaction of enjoying your home in comfort. Due to its natural resistance to water, Teak is also great for panelling and flooring in kitchens and bathrooms because the condensation doesn’t affect it. Teak also looks great and can be glued easily making it easy to work with. The ancient capital of Burma, Inwa, is the home of the Bagaya Monastery which uses Teak wood as a fundamental part of its structure. The monastery was built in the 1770’s and is still used today as a monastery and school. During its peak years the monastery played an important role in educating Burmese Royals. After a fire broke out in the city Bagaya was burned and the government attempted, over 100 years later in 1992, reconstruction with brick work using the model of the old monastery. Unfortunately, other buildings in Inwa are no longer standing. The city was continuously ravaged by earthquakes which affected the entire region and the city was finally abandoned in 1839. The palace within the city was destroyed and only the old watchtower is still standing. The tower has since been restored after it was left leaning to the side. Although most of its grandeur has been left in the past, this historic city is still one of the main tourist attractions in the region as it provides a window to past Burmese kingdoms.